If you’ve led in a local church for any length of time, you’ve probably experienced seasons of high momentum and seasons when momentum has faded. Good leaders possess the ability to navigate both in seasons of strong momentum and low momentum; each have their unique challenges. 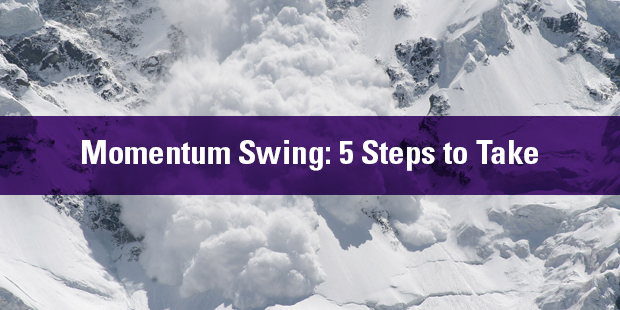 In the previous post, I addressed “5 Ways Leaders Grasp Momentum.” It will provide helpful and needed context for this post. Let’s continue the topic with a focus on regaining momentum. 1. Take responsibility for the lack of momentum. If you are the pastor, on staff, or a board member, own the reality of your church’s situation. Tell the truth. If you are in a decline, you are in a decline. Everyone knows it, so just say it. Don’t panic, focus on solutions. The people will appreciate your honesty and courage. If you are plateaued, the same idea holds true. Don’t get stuck on the things you can’t control, take action on what you can do. 2. Find the mo in you first. It’s what’s inside you, what you believe, the size of your faith, and the hope in you that matters. Not the mistakes in the past or the mountains in front of you. Only the dreams within you matter. If you lose hope, you can’t inspire a congregation. If you don’t believe, the people can’t believe. Your faith that God is with you matters. Sometimes God asks us to wait upon His timing. Cultivate that hope and faith within you. If you are discouraged, find a strong leader who is a friend and get some time to talk. Gain wisdom, experience, and fresh perspective. Don’t give up. 3. Re-establish a clear vision and written strategy. Listen for God’s voice on His direction for your church. You may need a new vision. This could be the right time for a new start. Or your vision may be solid, and your need is to find fresh and new ways to communicate it. Don’t rush the process, take the time you need. It may take a few weeks or a couple of months, maybe a little longer, that’s OK.
Talk and pray with your key leaders. Get buy-in with your staff. Develop your strategy. Don’t over complicate the process. Your strategy is a simple and clear written plan. 4. Make the courageous changes that are needed. I wish I could tell you that re-gaining momentum is easy, but it requires that we step out of our comfort zone and embrace change. The change may involve more boldness in your weekend communication, a difficult staffing move, a new approach to ministry, or a major overhaul in the style and execution of your worship service. There are so many possibilities. Keep in mind, if you make a change and no one gets upset, you just changed something that doesn’t matter. 5. Aim for the small wins first. Let me restate something from the previous post. Momentum is fueled by vision and activated by faith. This is clear evidence of the partnership we all have with God for spiritual momentum in our churches. Vision is the source and fuel of momentum, and faith activates God’s hand toward momentum. While you exercise faith and wait upon God’s timing, keep steady at your vision and strategy. Part of this process is the art of aiming for the small wins. Go for the “little mo” while waiting for the “big mo.” This is not busyness or lack of focus; it’s more like kindling upon the fire. There are many ideas you can implement, from short-term community compassion and outreach projects, to a 30-day fund-raiser for a special purchase that would add wind to the sails of your congregation. There is no guarantee for momentum, but there is the promise that God is with you, and it’s His church. He cares, and He wants it to flourish. Talk with an Auxano Navigator about regaining momentum in your church. > Read more from Dan.